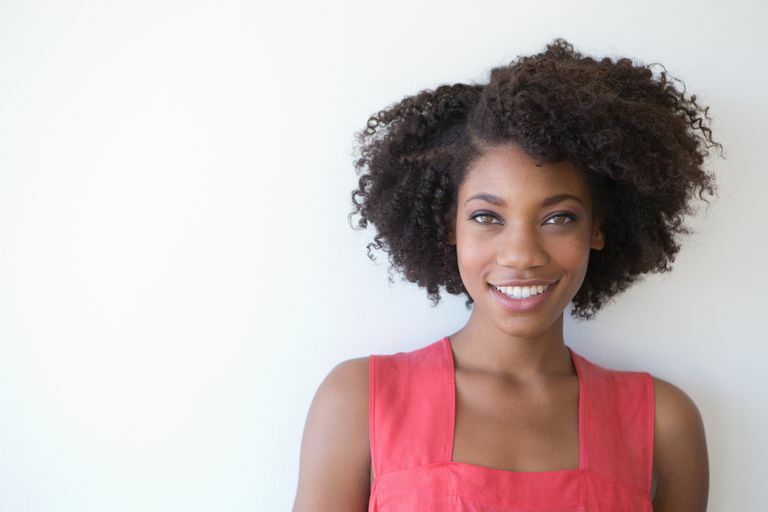 As you begin transitioning to natural hair, you might hear cautions about breakage. However, you may not know why breakage is such a big concern for women making the switch from straightened tresses to natural ones. Not only will your mane be stressed at a certain point, the line of demarcation (where previously processed hair meets the new growth), but if you don't make the best style choices or feed your hair what it desperately needs during this time, breakage can occur. Moisture: Proper and regular moisturizing help keep your hair soft and supple, leading to fewer tangles and less breakage. Protein: A good protein balance keeps your tresses strong and less prone to breaking off. Gentle Styles: The right transitioning hairstyles involve low to no heat, and place little stress on your hair strands. Let's explore each of these components to see how they help avoid transitioning hair breakage. Water is the ultimate moisturizer, and while many products claim to add moisture to the hair, they really only coat the shaft. You need water and water-based moisturizers to maintain a healthy moisture balance. Most oils, even natural ones, won't penetrate the hair's cuticles, but coconut oil will be based on its molecular makeup. (The jury is still out on whether olive oil actually penetrates or not.) Even so, natural oils are among the best choices for holding moisture in, whether you choose coconut, jojoba, avocado or some other mixture. Some natural ingredients don't truly moisturize, only seal in the moisture, but they're still good to have on hand for that reason. Moisturizing begins within, which is why a healthy diet that includes the right water intake is important. If you don't currently drink enough water every day, you should definitely try it; chances are, you'll soon notice a difference in your hair and skin, the type of improvement that's very difficult for supplements to duplicate. Moisturize at least a few times per week, including water and natural oil-based products, conditioners and deep conditioners. Although human hair is made up of protein, too much protein is a bad thing as this will lead to dryness and the problem you're trying to avoid in the first place -- breakage. While you should moisturize throughout the week, you only need a protein treatment about once per month. If you're suffering severe breakage, i.e. handfuls of hair are coming out, then you need one intense treatment (such as ApHogee) to stop that, but afterward, once-monthly protein applications should be sufficient. All of these are available to buy at Amazon. Because chemically treated tresses need protein more than natural hair, you may find you can gradually cut down on protein. Over time, you may not need to add protein treatments to your hair more than every two or three months. Finally, choosing the right styles will go a long way toward avoiding breakage. Gentle styles usually don't include heat. While flat ironing during a transition may sound like a good idea when you don't have a lot of new growth, it will eventually become more difficult. As your natural hair gets longer, you have to do more work (and probably use more heat) to get your different textures to blend well. Once you have a couple of inches of new growth, choose styles that focus on natural curls over straightened locks. Yes, it can be tough incorporating those relaxed ends because they'll appear very limp and thin compared to your natural texture. 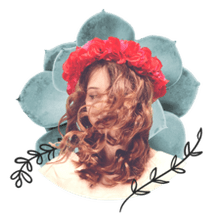 Although some women don't want to trim at all during this time, minor monthly trims get rid of hair that's not blending well and move you toward an all-natural style that much sooner. Any styles that are low-stress and low-manipulation can work for transitioning. In many cases, they're also protective. Along with these gentle styles come gentle handling. You need the right tools and patience to work with your new texture. Decide in advance on a couple of last-minute hairdos for those times you're rushed, even if this includes a colorful scarf or baseball cap. Otherwise, detangling, shampooing and styling are probably going to be more time-consuming, at least until you get a good routine going. If you don't comb through your new growth at least once per week, you may experience matting or severe tangling. Raking through it in a hurry is a sure way to breakage! Take the extra time each day to detangle and moisturize, even if it means waking up earlier or going to bed later. You'll find that low-manipulation hairstyles tend to reduce tangling. Transitioning doesn't have to be difficult if you know what to expect. While there's a lot of information and products out there, basic hair care is what keeps your tresses healthy and flourishing. Start with moisture, protein and the right styles, and everything else will fall into place.